May 4. Yes, Lisbon is in Portugal, and that's where our tour started. Landed at the airport and met up with the tour coordinator. ​Was Columbus Spanish? Portuguese ? Italian??? Our guide said he was Spanish, so that is the final answer! 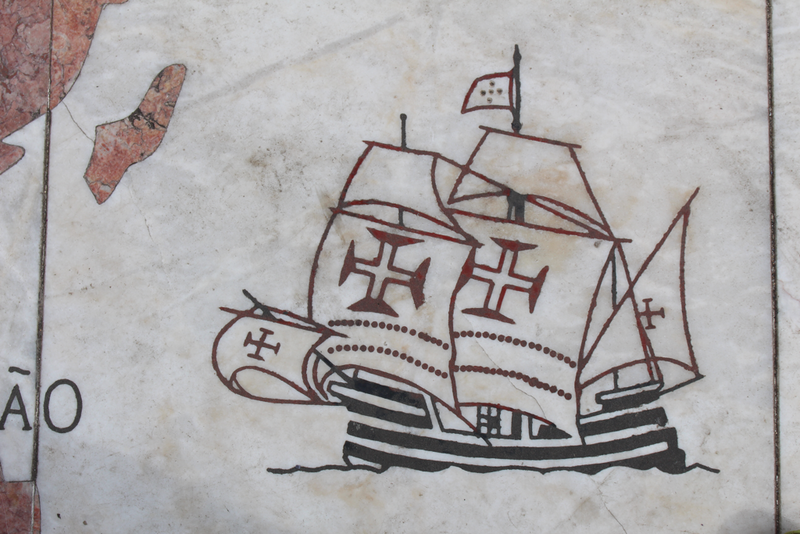 The Portuguese and the Spanish led Europe's conquest of the New World. Was it visionary of the Kings and Queens to finance such expeditions? I think so. Like Italy, Portuguese and Spanish history (pre-Americas) abounded with constant wars of conquest, one country taking over another, then another. Spain added the hordes from the south as well as the hordes from the north. 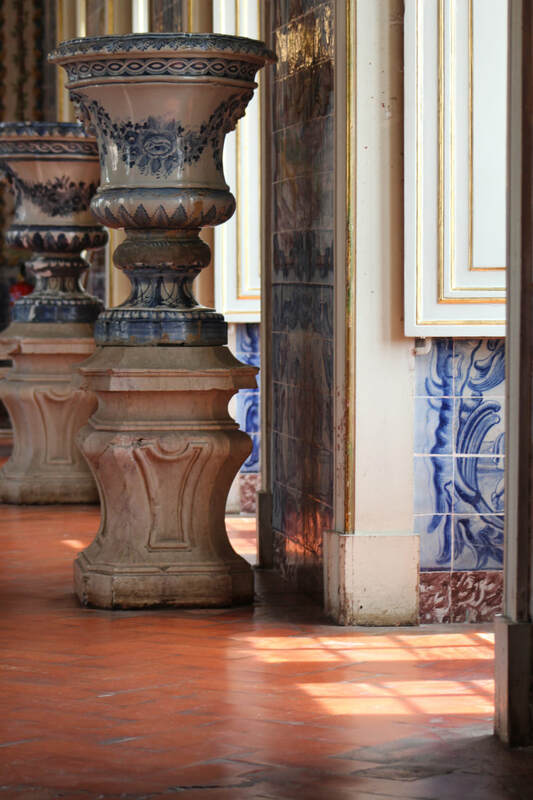 ​These huge urns and tilework were in a couple of royal homes (see the pictures in the slide show below) . Renovation of these homes was nearly complete: the grounds and facades were beautiful. The palaces were nearly empty. I couldn't figure out what happened to all the stuff that must have been there once. We walked through nearly empty rooms. ​Throughout Portugal houses were painted in these eggshell pastel colors. The docent didn't know why. Apparently it is a Portuguese tradition. ​I can't help myself. I keep comparing this trip to my Italy trip. We were the only people visiting the campus that day. I don't know if they opened it just for us, or they just don't get visitors. I kept looking over my shoulder wondering where everyone was.